The survey, titled “Stress in America: Coping with Change,” found that 2/3 of Americans are feeling great stress over the future of the country, with 57% of respondents saying the current political climate is a “very or somewhat significant” source of stress in their lives. The APA surveyed 1,019 people ages 18 and older in early January. Only the first part of the survey has been released; the second part is scheduled for release February 23. The questions were based on a 10-point scale from “little to no stress” to “a great deal of stress,” and the majority of both Democrats and Republicans said they were biting their nails in anxiety over the future of America – 76% and 59%, respectively. Among African-Americans, nearly 7 in 10 said the election’s outcome was a very or somewhat significant source of stress compared to 42% of non-Hispanic whites. Participants’ education levels played a role in how stressed out they were. Among those with more than a high school diploma, 53% reported very or somewhat significant stress since the election’s outcome. Just 38% of people with a high school education or less expressed such deep concern. People living in urban areas reported more stress over the country’s political climate (62%) than people living in suburban (45%) or rural (33%) areas. 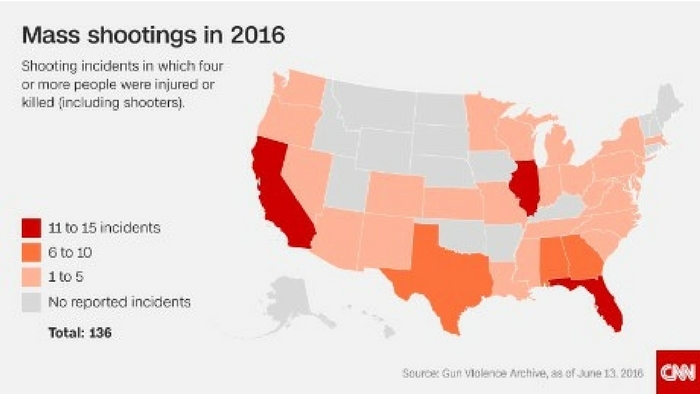 More Americans are worried about safety in America, the survey revealed. In fact, apart from the economy (44%), the most commonly reported factors adding to stress in the past 10 years are mass shootings and/or gun violence (31%), and terrorism (34%). Some 34% of respondents said personal safety is a very or somewhat significant source of stress, up from 29%, representing the highest percentage noted since the question was first asked in 2008. The percentage of Americans classifying acts of terrorism as a very or somewhat significant source of stress increased from 51% to 59% from August 2016 to January 2017. Additionally, police violence was a concern among participants. The percentage of Americans saying police violence toward minorities was a very or somewhat significant concern also rose from 36% to 44%, though levels of concern varied among races. 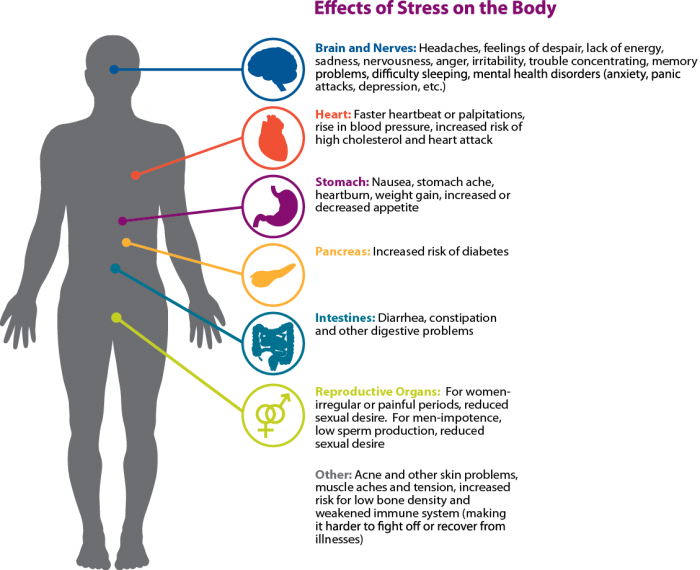 The rise in stress among Americans plays out in innumerable ways – angry social media posts, heated family dinners, protests and, increasingly, physical ailments. Everyone has stress, and while it can feel overwhelming at times, there are ways of preventing stress from literally overwhelming you. You can’t always avoid stress, but how you manage it – if you manage it – can make an enormous difference in your physical and mental health. Vaile Wright, a clinical psychologist with the APA who was involved in the study, recommends fighting stress by engaging in soothing or pleasurable activities, hanging out with a few pals, getting enough sleep, eating right, and getting exercise. “It’s not just about who won the election. It’s having a much larger impact, and it likely has to do with this global sense of uncertainty, divided-ness and this unprecedented speed of change. So we try to seek out ways to control it, which is to be informed. And while it’s really important to stay informed right now, there’s a point where you have to know your limits; there’s a saturation point where there isn’t new information.